Nigeria's biggest National Jackpot prize is up for grabs as the rollover Jackpot climbs to 30.5 million Naira. 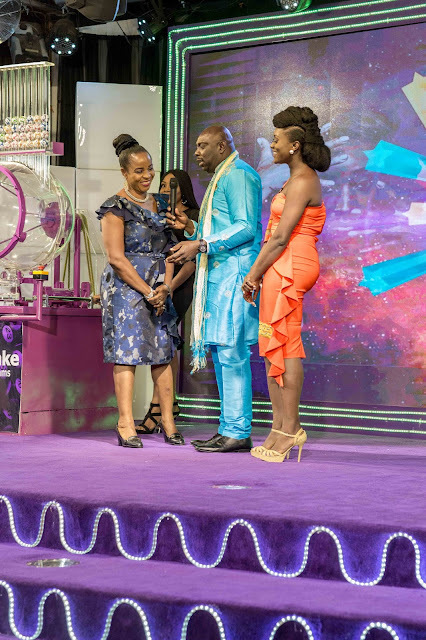 The Week 13 prize was 30 million Naira, but a Jackpot Winner has not emerged, although the Weekly Jackpot result showed that over 1109 players won other prizes and all players who won are urged to redeem their winnings without delay. Last Week a total of 940 players won prizes on the off line platform using POS with our various agents nationwide, while 169 players won in the online platform, using the mobile app and web play making it a total of 1109 winnings. To see all the ways your ticket can win a prize, please visit any of our agents nationwide or our mobile app downloadable at app.gntbig.com or via our web play by logging into our website at gntbig.com. In addition players can play through Quickteller and ATM machines. Give’n’Take offers Nigerians, who are 18years and above, a life time opportunity to play and win the weekly Jackpot prize and any of the other prizes. Aside the National Jackpot, Give’n’Take offer a variety of other instant games players can play and win instant prizes, like Dream, Crown, King, Climax and Best .